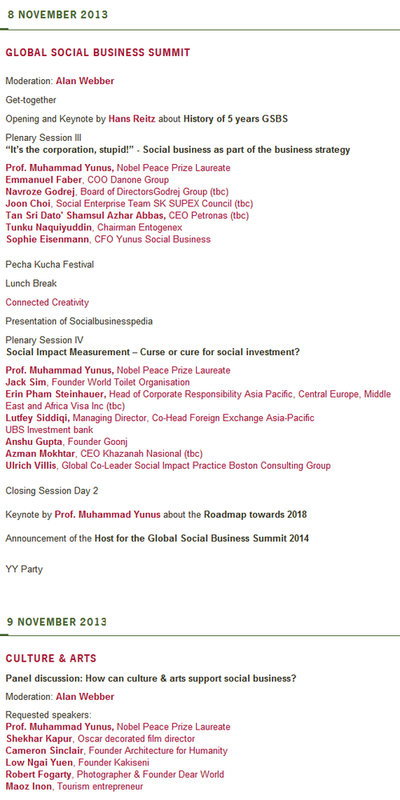 The Global Social Business Summit is the worldwide leading forum for social business, which are non-loss, non-dividend companies with a social goal. It serves to spread awareness of social business, foster discussion and collaboration between practitioners and stakeholders, as well as present and conceive best practices. 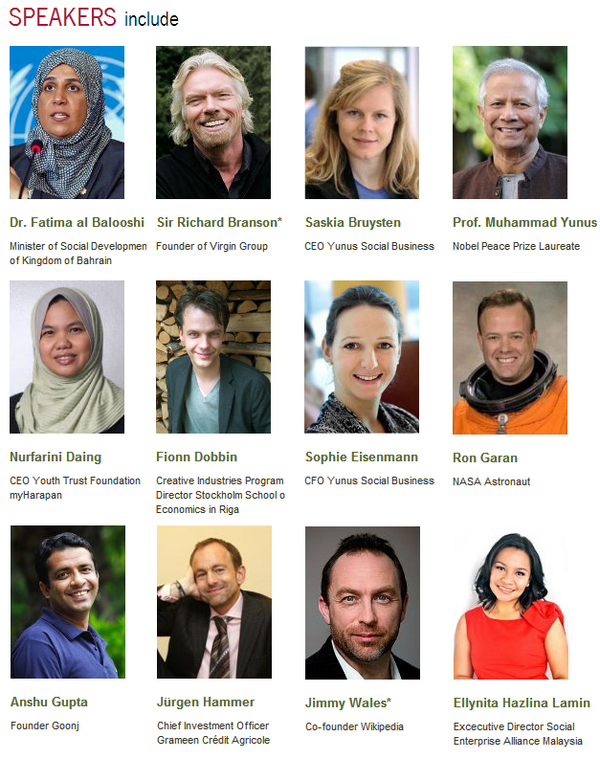 The annual event is organized by Nobel Peace Prize Laureate Professor Muhammad Yunus and his Creative Advisor Hans Reitz, which gathers experts from private sectors, civil society, governments and academia over a few days of meetings, forums and workshops.